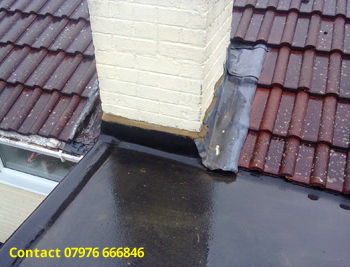 Mastic asphalt roofing - trim edge, upstand to brickwork & under tiles & lead to form a watertight roof detail. 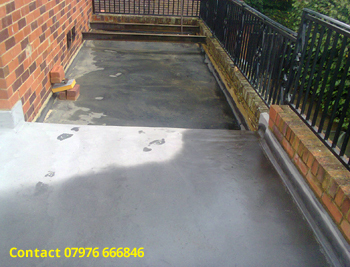 Two asphalt roofs on balcony using one outlet through parapet wall to disperse water from 4 roofs in total, outlining the drainage and durability aspects required. 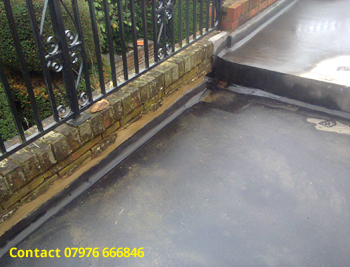 Mastic asphalt properly designed and laid can prove capable of lasting 50-60 years. 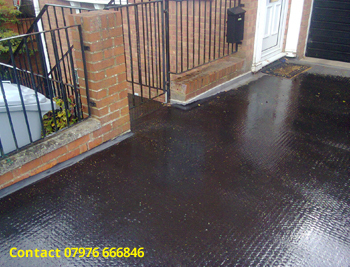 Walkway, driveway & flat roof all in one application with crimped finish in asphalt for foot traffic. 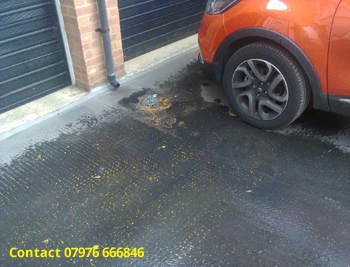 All water drains to outlet in asphalt including garage downpipe. 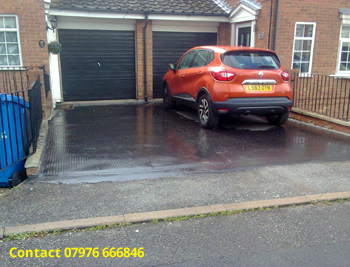 Shows Driveway in use, this area covers cellar below which is now used for music lessons, and has resolved all previous damp & water ingress.